Well, Lu Yu (陆羽) the so-called “God of Tea”, must have been watching over me. Strangely, without a sound in the night, the hornets’ nest vanished. Well, not vanished exactly…something or someone took the nest away without damaging the tea plant at all. The only evidence left was a few trampled irises and a short trail of wasp-paper flakes. Strange, but I’m not going to look a gift wasp-free tea plant in the, er, mouth? Many a tea geek has found themselves introduced to the world of tea through in one of the tea books of James Norwood Pratt, either the original Tea Lover’s Treasury or its second edition, New Tea Lover’s Treasury. He has been interviewed on radio, TV, and in at least two films: “All In This Tea” and “The Meaning of Tea” (both of which will be shown at the upcoming Northwest Tea Festival). Now it’s Tea Geek’s turn to interview him! TG: What’s your favorite tea? JNP: I must have several dozen favorites at any given time. This year it’s even more, because of the fine crop everywhere. I’m enjoying wonderful First Flush Darjeelings from Goomtee and Makaibari, Ceylons from Lumbini and Pettiagala, Nilgiris from Chamraj and Korakundah, half a dozen great Taiwan oolongs from Hou De, Teance and others, and half a dozen superb China Green Teas which have just arrived– Longjing, TianMu, Lushan Yunwu and an amazing Gu Mao Jian from Hunan. This is before I even BEGIN to answer in depth or detail! TG: How did you start on the path to tea geekdom? Briefly describe your history of tea exploration. JNP: I came to tea after writing a book about wine–the ideal preparation. My first tea book appeared in 1982 and actually helped spark the Tea Renaissance that began that decade. So I’ve been eagerly exploring every new avenue to open up since then. TG: What aspect of tea do you find most fascinating? JNP: Everything about tea fascinates me, but nothing more than the spiritual aspect, if that’s what to call it. Field-Marshall Montgomery of El Alamein said the British soldier would do anything asked of him as long as his officers provided mail from home and plenty of tea. Japan’s proto-shogun Hideyoshi had said pretty much the same thing about his soldiers four hundred years earlier. Quite apart from the caffeine, what is it about tea that keeps us going even under hellish conditions? What is it about tea that opens our hearts to beauty and closeness? How does it manage to make us always feel a bit more civilized? TG: Who have you learned the most from? JNP: For millenia now, Tea is Something Handed Down. In Asia they have a keen appreciation of each “Way” or tradition, and a keen awareness of each lineage transmitting the Way down to one’s own time and self. My very first teachers in tea were Karen and Augie Techeira, proprietors of Freed Teller Freed in San Francisco, and Michael Spillane, their importer and owner of G.S.Haly Co. Outstanding among the many teachers I’ve had since are Devan Shah in India tea, Roy Fong in China tea, Manik Jayakumar in Ceylon tea, omitting any mention of many others. TG: What tea resource (book, website, person, etc.) would you recommend for a tea novice? JNP: Well, I wrote JNP’s NEW Tea Lover’s Treasury to fill this very need–an in-depth Tea 101 for newcomers which should repay regular re-reading every year or so by the more experienced. But a little experience beats a lot of reading. Find a fellow tea enthusiast with better connections than you have and start comparing! TG: And what’s your own favorite tea resource, potentially for more advanced tea geeks? JNP: Unfair Question! How can I mention one friend and omit a hundred? We now have a large and savvy enough list of internet sources to explore on our own—the hunting is good and gets better every year! TG: What does tea mean to you? JNP: Let me suggest you see “The Meaning of Tea,” the film by my friend Scott Hoyt (in which I appear briefly, by the way, but it’s first-rate anyhow). TG: Name your biggest pet peeve in the realm of tea and tea drinking. 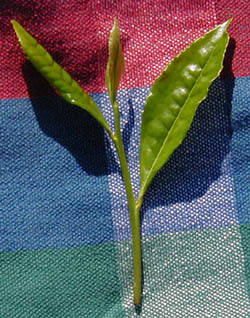 JNP: It continues to annoy me that people call anything “tea” whether it comes from the tea plant or not. If it’s not from the tea plant, it’s an herbal of some sort–NOT tea! TG: If you could let everyone in the world know or understand one thing about tea, what would it be? JNP: No pleasure is simpler, no luxury cheaper, no consciousness-altering substance more benign–if I may quote myself. TG: What’s the craziest/weirdest/most obsessive thing you’ve ever done in pursuit of your love of tea? JNP: Avoiding the purely personal now, Michael, let me admit to tasting a particular Darjeeling every year since 1986. That year in Paris I bought this magnificent Jungpana Second Flush from Mariage Freres. The package got lost for a while when only half-consumed. When I rediscovered it, I found the tea still wonderful and wondered how long it would stay that way. So every year I carefully make myself another pot. It hasn’t gone bad by any means, but it’s definitely fading. I guess you could say it’s a measure of aging, mine and the Jungpana’s, but I think there’s enough left to last at least til 2020! Anyway, I went out today because it’s supposed to be sunny and warm today and I want to let the picking wither in the sun. I picked four leaf/bud sets when the wasps (bald faced hornets, perhaps) that had set up shop on one of the lower branches got upset. I’m not sure what I’m going to do. I’ve got my four budsets in the sun, but that’s not enough for a single cup of tea. I’ve done a little research on bald faced hornets (which is what these guys look like) and supposedly they’re not aggressive. Unless you get close to, or disturb, their nest. They apparently like to sting people in the face. If only I could pick the leaves without jiggling the plant so much. Now I know what bears must feel like. Well, someone out there had a great idea. My local public television station (KCTS-9) recently aired “The Complete Jane Austin”–dramatizations of all of Austin’s works. Now they, and the Daughters of the American Revolution, are doing a tea to support public TV. Next month, they have an event called Afternoon Tea with Jane Austin, in which there will be entertainment, costumes, etc., all recreating the environment of an afternoon tea from the Regency period. In order to get tickets, you need to pledge to public TV at $150 or more. Good for them for coming up with a fun way to get financial support, and good for them for using tea to do it! Maybe some Jane Austin fans and/or PBS fans who don’t drink tea will go to this event, have a lot of fun, and get interested in this most wonderful and tasty drink! 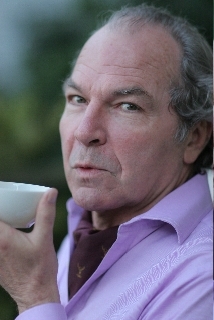 Posted on 7 July, 2008 Author Michael J. CoffeyLeave a comment on Tea for Public TV!